Horse Facility Now Open in Quesnel B.C. 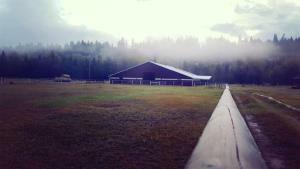 Welcome to First equestrian Horse Ranch, we are located at 2343 Reierson Rd Quesnel BC – 16mins from downtown. 118 acres privately owned and operated. 100’ x 200’ indoor arena. lessons, clinics, training and leasing. summer camps for youth aged 8 to 15.
excellent rest and unload area, with camping available.